Not gonna lie, that must have sucked. 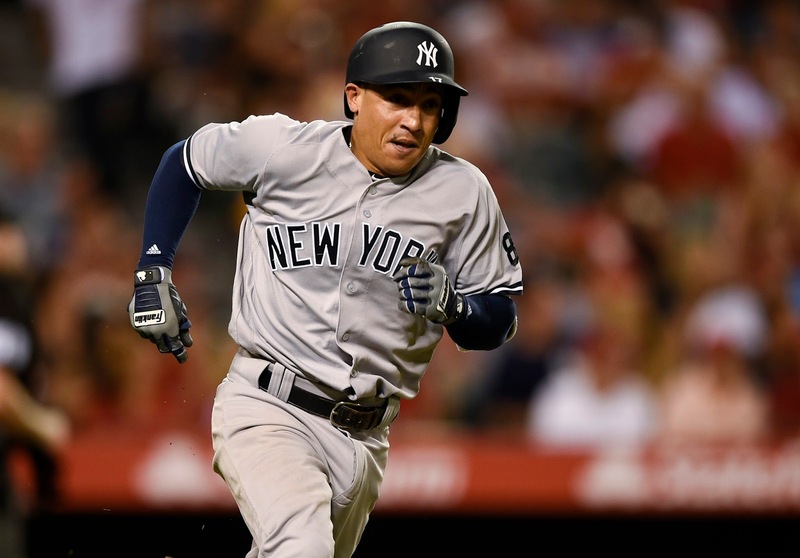 However, after making the Opening Day team, Torreyes (somehow) survived the entire regular season on the Yankees’ 25-man roster, and made himself known as a very useful player. For such a small guy, that was no wall scraper. Overall, 2016 was a decent season from Torreyes. He’s a fun little player who can play third, short, second, and even the outfield in a pinch, all while being able to handle a bat, and someone like that deserves a spot on a Major League team. Torreyes should open the season as part of the Yankees bench, and will continue to get the semi-regular amount of playing time he did last year. I expect the bulk of his playing time to be at third, as it was last year, in order to give Chase Headley some rest. Didi Gregorius and Starlin Castro could probably use an occasional off day as well, and Torreyes provides them with that. However, I’m not so sure that he will survive the entire season on the 25-man roster. 2017 is going to be a season of seeing what the kids have, and that includes kids down at Triple-A and lower who haven’t been added to the 40-man roster, such as Chance Adams, James Kaprielian, Jordan Montgomery, Clint Frazier, Tyler Wade, and maybe even Dustin Fowler or Gleyber Torres. Who knows? Maybe others will be knocked off the roster. But I wouldn’t be surprised if Torreyes is on the chopping block come midseason. Until then, though, I expect him to bring the same bat skills and solid defense that allowed him to last through 2016.